Oswego County BOCES students enrolled in the New Vision Allied Health program recently showcased their diabetes knowledge by developing a website and creating informational literature about the disease. 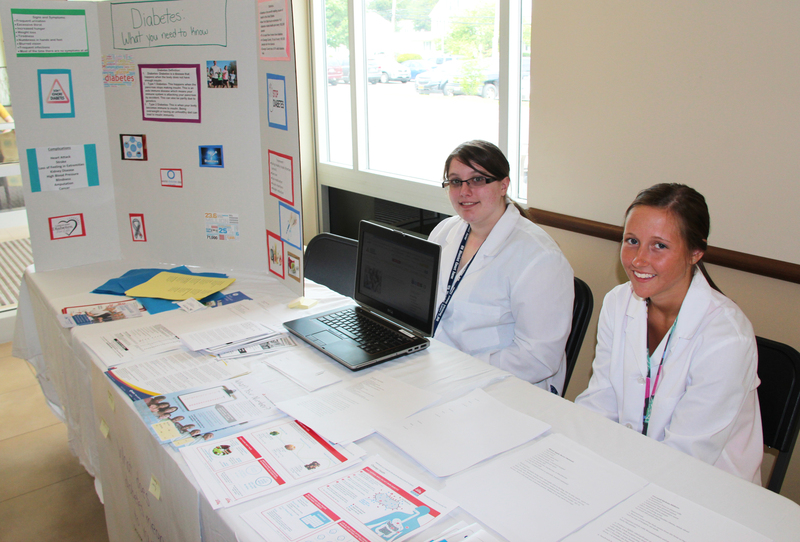 As part of a class project, Oswego County BOCES New Vision Allied Health students Alivia Grimshaw (left) and Johnelle Dishaw work an informational booth and distribute diabetes literature at Fulton Urgent Care. “As a class we decided to do the project on diabetes because it’s a big problem in Oswego County,” said OCB New Vision Allied Health student Alivia Grimshaw, of Oswego. 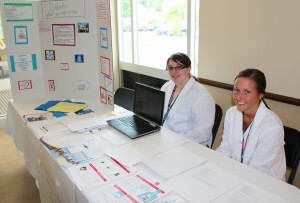 The project culminated with student-manned informational tables that were on display May 27 and May 29 at several Oswego Health locations. In addition to providing statistics about the disease, students also distributed diabetic-friendly recipes and displayed the website they created.